ADIOS boot CD was a Fedora-based live and installation CD with support for User Mode Linux (UML) virtual machines, further enhanced by Linux Intrusion Detection System (LIDS) and SELinux (Security Enhanced Linux). 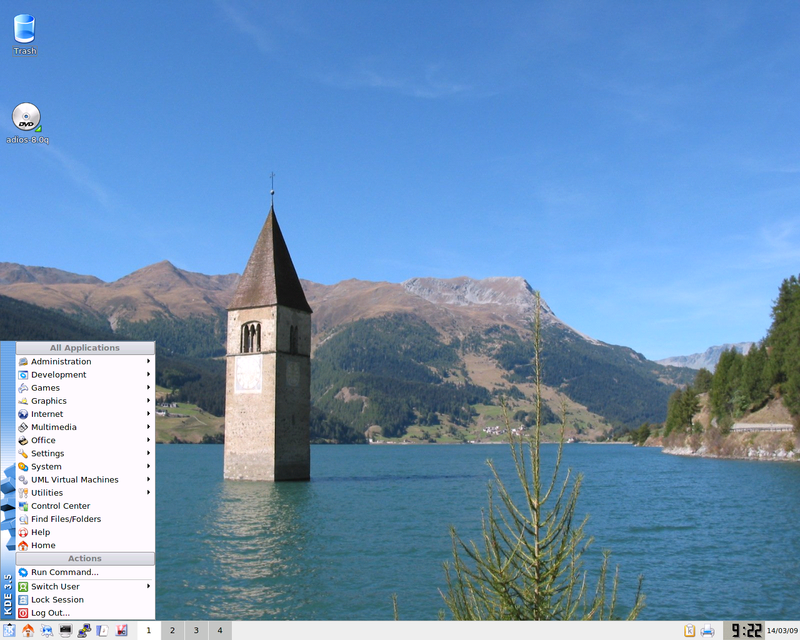 The live CD, which includes the KDE desktop environment, uses a compressed loopback filesystem. Rate this project The first beta of Mandrakelinux 10.1 for AMD64 and Intel EM64T: "The first beta is available! ISO images are already available on a number of FTP mirrors, so don't delay, download and test it right now. Features based on Mandrakelinux 10.1 for IA32. Known issues: if you are doing a network installation, at the end stage of installation (before rebooting), the interface looks frozen. This is due to slow generation of the replay.img. Please test and report to Mandrakebugzilla as many bugs as possible." More information and a list of updated mirrors are available on this page. Download: Mandrakelinux-10.1beta1-CD1.x86_64.iso (694MB), Mandrakelinux-10.1beta1-CD2.x86_64.iso (695MB), Mandrakelinux-10.1beta1-CD3.x86_64.iso (695MB).